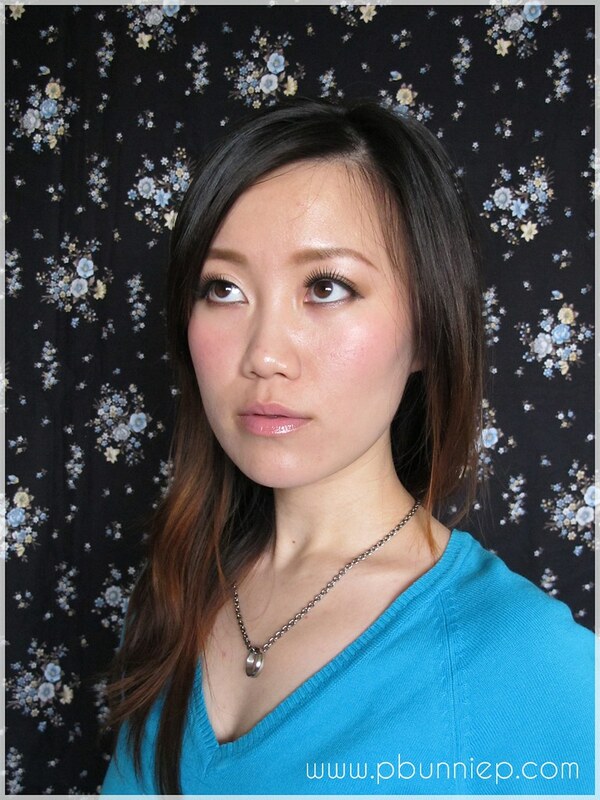 I feel like I should start this post by sharing my love-hate relationship with blush. While I adore blush and have many in my arsenal but choosing colours can be daunting and you run the risk of looking more like a clown than a freshly ripe raspberry (I'll take the latter, thank you very much). Today's review item has been my most reached for blusher for the last 6 months and I think it's just phenomenal. 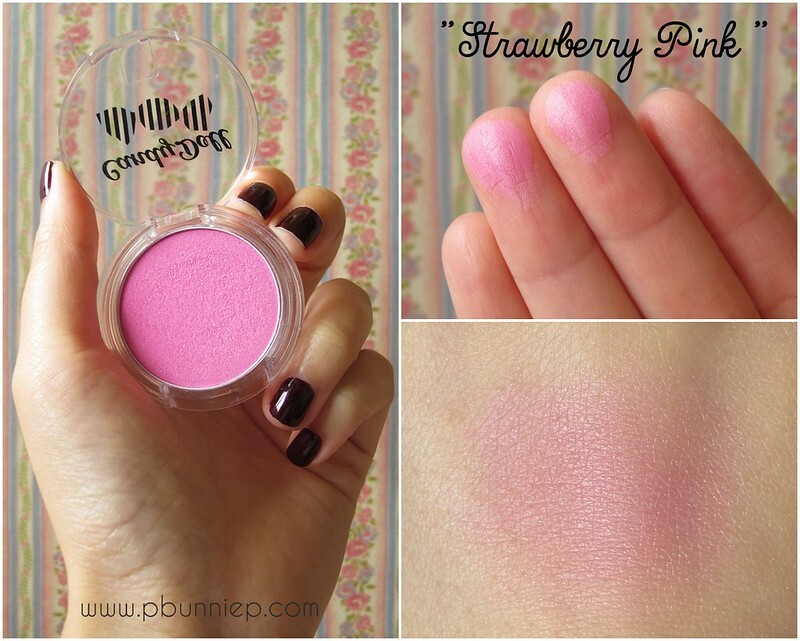 Product: Powder blush in "Strawberry Pink"
Availability: Ichibankao online (most complete selection), eBay, SaSa online. Would I repurchase: YES! Yes! Yes! 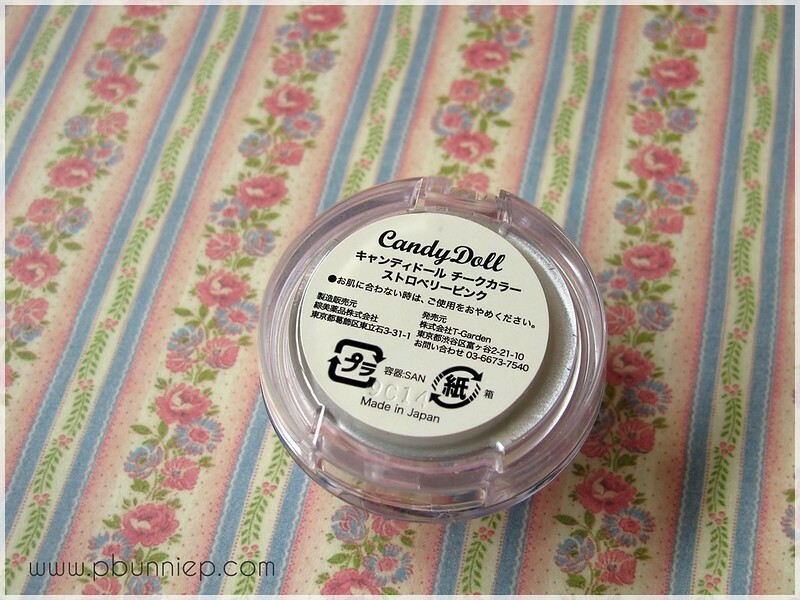 With everyone swarming over the Candydoll/Dollywink products endorsed by Japanese model Tsubasa Masuwaka since they first appeared a few years ago, I've had my eye on this blush. The super girly side of me was immediately attracted to the bright hue of Strawberry Pink and decided I needed this in my life without stopping to consider how this would work with my skin tone. To my surprise this shade quickly became a makeup bag favourite and hasn't left my side since. The design of the blush is simple yet sweet and makes a great fit into a small purse if you intend to take if for travel. The plastic container is sturdier than it looks and has survived much abuse in my makeup bag. The colour is a crisp lavender based pink with a neon tinge and applies with a slight sheen on the skin that gives my face a healthy pink glow which I love. It contains silver micro shimmer but doesn't reflect white on the skin, making it a versatile shade for many skin tones. Highly pigmented, I find this to be less powdery than even my MAC blushers putting this head to head with NARS products (known for their superbly fine texture). The formulation feels quite sheer and has a translucent quality, allowing your natural skin to show through despite the bright colour. 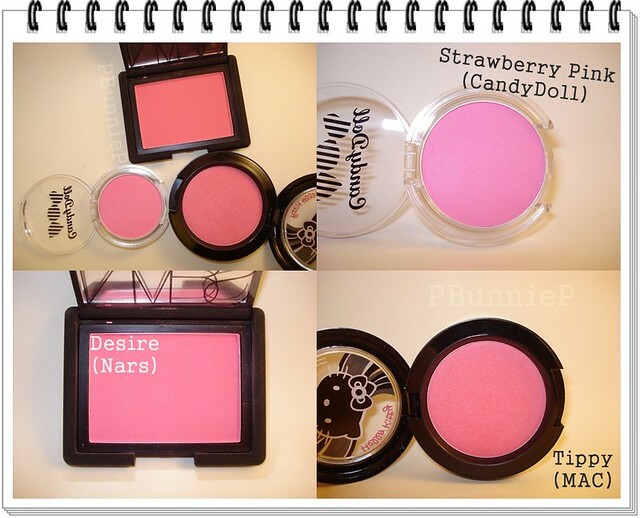 And on the topic of versatility, this blush can take me through a variety of different situations. Not only do I reach for this in my day to day life, it's also what I use on camera or filming for a bright, noticeable pop of colour as most shades tend to get washed out easily. I can even layer this over any blush I'm wearing for an extra bit of intensity on film. It's incredibly buildable without leaving a trace of powdery residue on my skin. Ready for the icing on the cake? This blush is very long lasting as well so I can put it on in the morning and just forget about it. 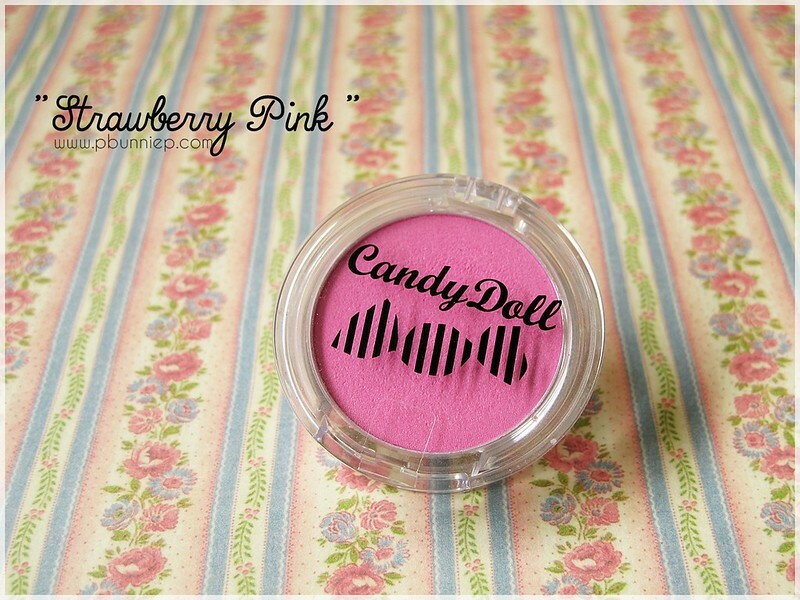 I can not recommend this blush enough for anyone who has yet to give Candydoll blushers a go, make this shade your first item. It's reasonably priced in Japan but a bit more expensive over seas however look out for free shipping from websites like SaSa to save a few dollars when purchasing online. It's a must have in my makeup bag. I'm not too familiar with the brand, so I'm so happy to read that they also make great blushes :). Thanks a lot for comparing it to other shades, it makes things a lot easier! I love the shade on you, especially layedered on a warmer colour :). I've got my eye on the orange one too! And they just came out with a new one called "Pink Flamingo" I think which is adorable. I was thinking about buying a Candydoll Blush or another Nars and I think I'll go with the Candydoll but I might look for another shade since this one isn't my Color. WOW! I really need this in my kit :) This looks fantastic on you!! thats a very lovely pink blush, agreed! 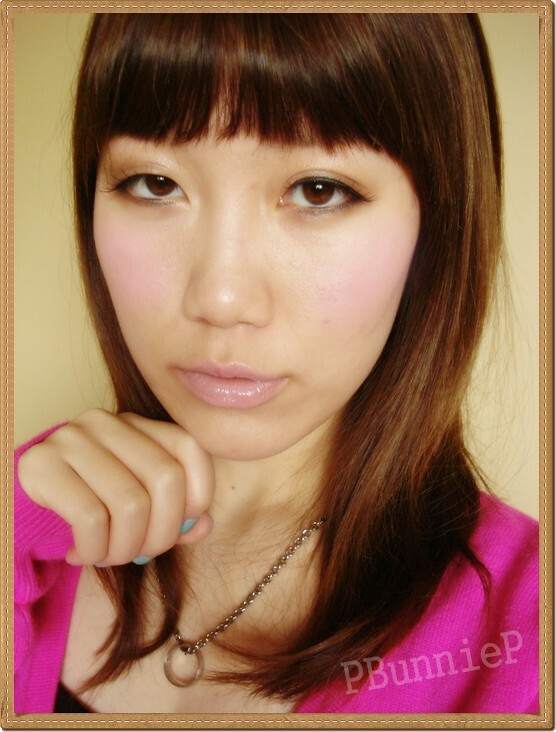 i find it weird how when i experiment w blush, it's not as fool-proof as experimenting w lipstick. w lipstick, even if you wear an odd color, its fine as long as you carry yourself well. with blush. uhm. it's weird! Hi! Thanks so much for this review. Can you recommend any dupes for this blush?